Watson does this suggesting in a revision of a two-disc instructional set he released in 2010, now called Lessons of a Lifetime II. 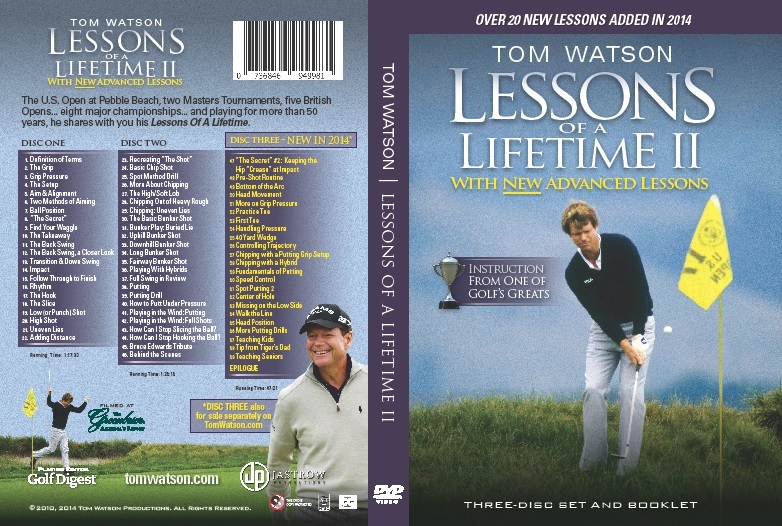 With more than 20 new lessons, biased toward the short game, the new disc is available singly for $24.95, or the complete three-DVD set for $49.95 at Amazon, TomWatson.com, or select golf and sporting goods shops. Is it worth it? Well, consider that as I write this the old warrior has just made the cut at the 2014 Open Championship at Royal Liverpool. The man continues to amaze, and the DVD’s cement his niche as an unimpeachable source. Over 70,000 copies of the first iteration were sold, and learning how to hit a half wedge might be worth the admission alone. But there’s plenty more here that is as pleasing to watch as it is useful, thanks to the participation of producer Terry Jastrow. 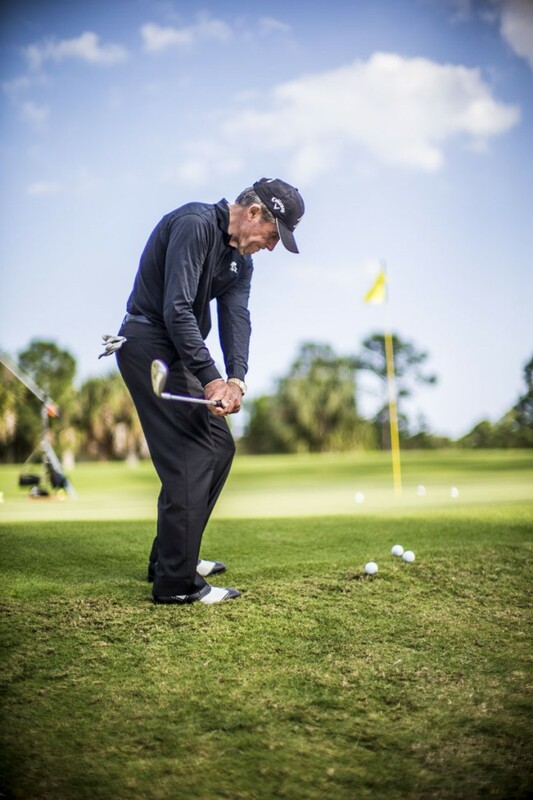 One of the most experienced and surely the most traveled player in the history of the game has his own three-DVD set out, one clad smartly in black naturally, Gary Player: A Game for Life. This one’s currently available for $59.95 at www.agameforlife.com, and it makes for a nice contrast with the Watson series. Watson focuses on technique, although keeping it fairly straightforward. Player, as is his wont, suggests thinking a little outside the box. There is, to be sure, ample technique, but the Black Knight puts greater emphasis on on-course play—tips more on how to score than how to swing. 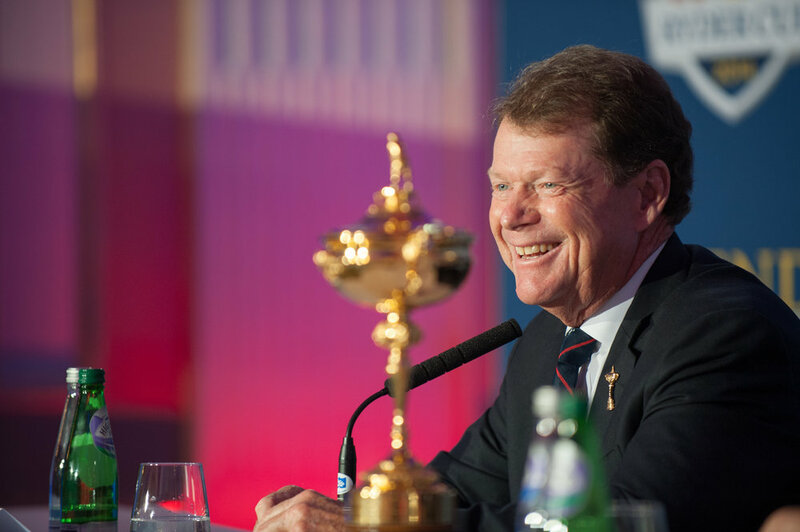 Although one of the most fascinating segments is when Player starts dissecting the swings of players past and present—Hogan, Trevino, Palmer, Nicklaus, Woods, John Daly and the player he thinks has one of the game’s soundest swings—Tom Watson. Thanks to the participation of Peter Kessler, the “Voice of Golf,” the production has as much an interview as tutorial feel (and actually ends with a sit-down interview with the career Grand Slam winner). True, it can be said that Player is one of the easiest interviews in the world. Kessler can pose one question and Player is off and running for twenty minutes. By the byplay becomes downright entertaining, and is particularly effective and almost comic in the section on Player’s physical fitness routines. As the 75-year-old goes through eye-opening exercises the merely watching Kessler looks almost alarmed. Player isn’t expecting viewers to do 1,000 sit-ups each morning, luckily, but he makes a strong case for at least modest efforts toward fitness and good nutrition. I had the pleasure of playing at the 12-course Mission Hills Resort in China a few years back. The golf was of a consistently high order, almost as high as my level of amazement. The sheer scale of the place might have been dazzling enough, but it was also a little surreal imagining golf in China at all, since the government had apparently condemned it at the same time courses were spreading like wildfire. And, in Mission Hills’ case, surrounded by multi-million dollar homes as well. 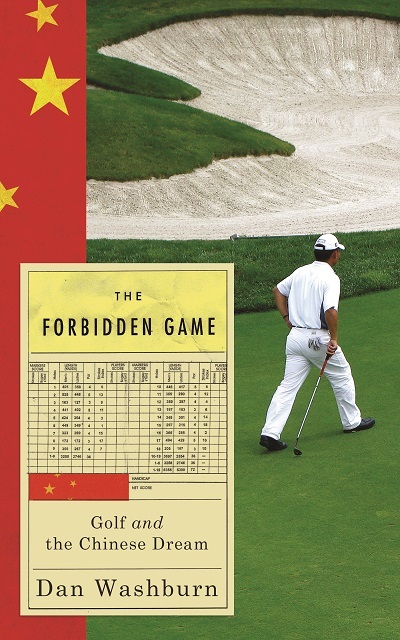 So though there’s nothing instructional about Dan Washburn’s The Forbidden Game: Golf and the Chinese Dream (Oneworld Publications, $18.99), it’s plenty instructive in explaining the seemingly inherent contradiction of such a perceived capitalistic game like golf blooming in communist China. If it sounds like a dour subject, Washburn has managed to turn it into a ripping good yarn by spotlighting three main characters: Zhou Xunshu, struggling to succeed as that rarest of entities, a Chinese tour golf professional; Martin Moore, a shaper from Florida who becomes the go-to man to construct a golf course in China, and Wang Libo, a lychee farmer on Hainan island whose life changes when golf comes to Hainan island in a big way. The three stories are expertly intertwined. Since Washburn has returned to the U.S. from a decade of living and working in China, Chinese players like Feng Shanshan and Guan Tianlang have finally crashed into western golf headlines, suggesting many more such stories are on the horizon. For The Greatest Golf Courses and How They Are Played: North America (Hamlyn, $19.99) general editor Mark Rowlinson has rounded up impressive contributors–the likes of Tom Doak, ex-pro and golf historian Daniel Wexler, and Ben Cowan-Dewar, the main man behind Cabot Links in Nova Scotia. The team has selected 35 of the best and then jam-packed this handsome little volume with photos, aerial shots, diagrams, hole information and other fascinating minutia about each track, including the all-important suggestions on how to play them. 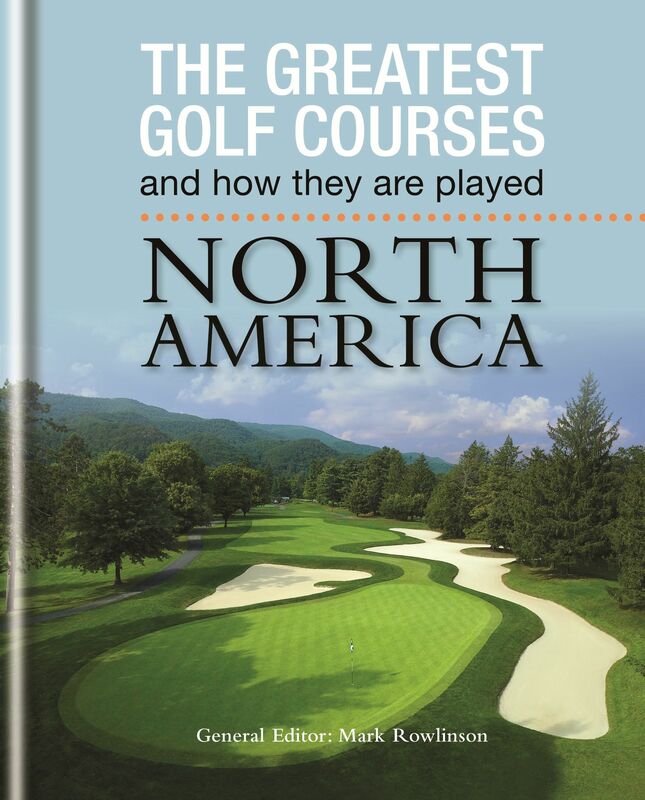 The major drawback of the book is that there aren’t any suggestions about how to get a tee time on most of these courses. They may be great, indeed, but they’re also exceedingly private. Of the ten courses selected from the Northeast, only one is public—Bethpage Black. The percentage increases slightly for other areas, but fewer than half of the chosen courses are open to the public. It’s good golf architecture junkie stuff, and one presumes that’s the main audience niche. The general player, who wouldn’t know a reciprocal if he tripped over it, may want to pass it by. 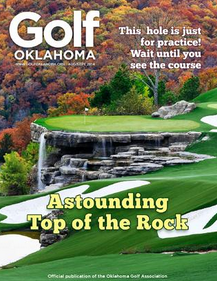 This piece originally appeared in the August-September 2014 issue of Golf Oklahoma magazine, in slightly different form.